First cut a 5 3/4" x 9 1/2" piece of dark purple card stock and fold it in half for the base and a 4 1/2" x 5 1/2" piece of Stampin' Up! Crumb Cake for the front layer. Then heat emboss the flowers with Versamark ink and white embossing powder then color them with the whitewash technique and the following Stampin' Up! inks: Craft White, Mint Macaron and Wisteria Wonder. Click here for an awesome tutorial. 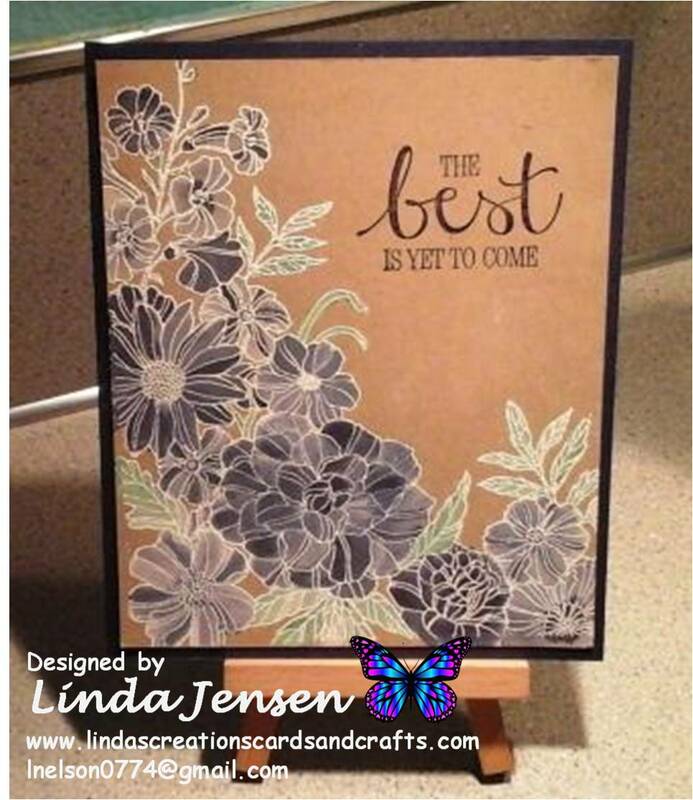 Next stamp the sentiment with a stamp from a Best Thoughts set using Wisteria Wonder ink then attach the front layer to the base and enjoy!